There is nothing like a great Writing Prompt to keep a writer on their toes. Allowing myself to be the guinea pig of my own brainchild, 365-Day WIP I present to you the first Three Chapters of my creativity. Keep in mind that this story is based on the practice of free-flow writing. I use the random word given for each day and allow the story to be guided by it. The plot is less of a mystery to me now that I am three chapters in, but like with all WIP’s there is much building and fleshing out left to do. With this in mind, take the time and read through what I’ve finished. Leave your constructive criticisms if you’d like, but remember kindness first. Be honest but don’t be cruel. Should you feel inspired to give this writing prompt a try, you can find out more about it as well as see the list of words for the year by visiting my sister site, www.icameforthesoup.com. NOTE: Not only am I using the 365 random words for each day, but I am utilizing a random word for each new month, creating 12 scenes to this story, built around 52 chapters consisting of seven random words each. Without further ado, here is Disius 9. This is a major problem. Closing my eyes, seeing darkness. Opening my eyes, seeing more darkness. The last thing that I remember was the ascent. I was traveling beyond warp speed. Blinding light filled the inside of my cabin with burning intensity. I felt the heat of it even on my teeth and tongue when my mouth was forced open from the terror. I can’t recall exactly what had terrified me; the speed, the light, or the shaking that rocked everything around and within me. For far too many moments, I was certain I was going to be torn apart. I would have been if not for the contradicting pressure that squeezed my insides until blood strained from my nostrils and into the gaps of my teeth. I do remember choking on my own saliva and iron. I remember a scream tearing upward from my lungs as if by force, Luther, my companion, being jettisoned from his water enclosure only to hover dangerously upon the tides of zero gravity, diamond water droplets floating around him, baiting him with the threat of death. I should have known better than to bring him with me. It was far too dangerous for me to go, the odds were worse for Luther, not to mention the waste of water. None of that matters now, the waste, the regret. Both of us are grounded in darkness. Where? I don’t know, but I feel as if we are little more than sitting ducks, lost in the darkness. Charis opened her eyes again, straining them until they ached from more than the bruises that circled them. That was one good thing the darkness afforded her, the inability to wallow in vanity at the sight of a face she was certain was covered in nasty purple bruises. It was her pretty face that had earned her the voyage. Really, it was more of an unauthorized escape from Disius 9; one of the hardest farming communities in the outer colonies of Greater Eden. Hard labor, solar flare exposure, and silt storms that blew in every three or four cycles had worn many of the denizens of Disius 9 into swarthy beings, so leathery even in their youthful years that no amount of ombridge oil could make their skin supple again. Charis, however, had managed to avoid the abusive touch of nature. She’d counted and noted the signs of storms, measured the heat from solar flares during each cycle, and dressed accordingly. Sometimes she feigned sickness and forwent a week’s worth of chlorophyll in exchange for her lack of work. When the odor from the fertilizer that had embedded into her skin got to be too much, she’d use her pretty face to get the chlorophyll anyhow. Nothing more than kisses, she’d tell them. Nothing more than kisses she’d reminded herself when she felt nothing short of used by those who held in hand what she needed out of her reach unless she gave them a sweet in exchange. Survival, striving to live so that you died slower, was a hateful thing. Striving to survive had brought on horrors that had made Charis compromise her very morals, the fibers, and threads that her parents had woven within her. Most of them, the threads, had been stretched thin. Others had snapped and broken altogether. Only the frayed reminders of what they had once been remained intact. Trading your virtue for favors? Well, that one only came up in a roundabout way, almost as if her parents had thought she’d have little to no choice but to toe the line on this one. The way they’d speak about it or around it, shift their eyes from view when the topic came up only seemed to expose their hypocrisy. But it was still definitely immoral. 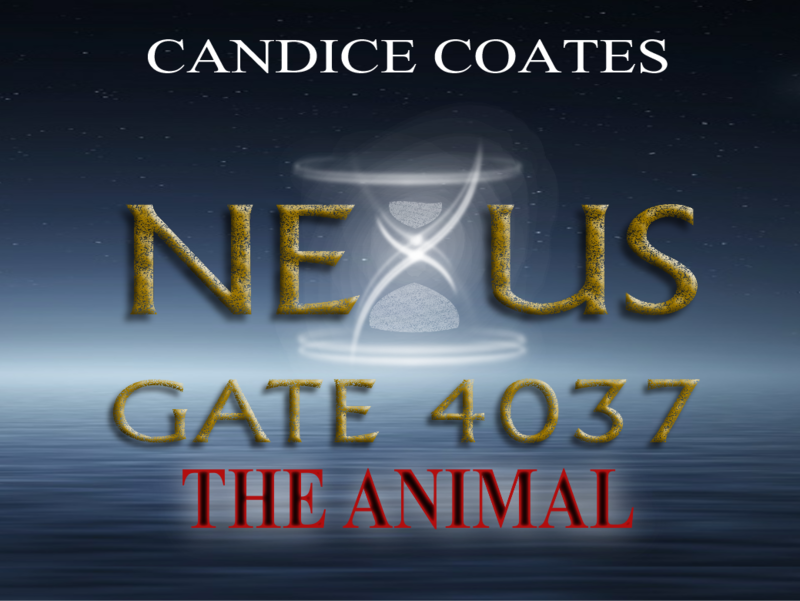 Enter your email address to follow Candice Coates and receive notifications of new posts by email. © Copyright 2017, 2018, Candice Coates. All Rights Reserved.